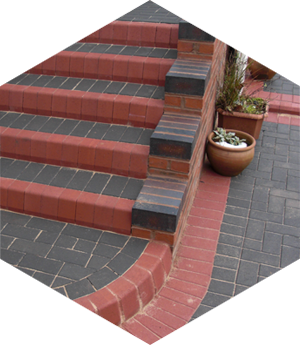 The Original Abbey Driveways (Bournville) Ltd, is a family run company with over 30 years expertise as a block paving and Tar Macadam specialist company. We are unrivalled when it comes to the versatility for providing the optimum surfacing solution across a broad spectrum of domestic and commercial construction applications. The Original Abbey Driveways (Bournville) Ltd, is a family run company with over 30 years expertise as a block paving and Tar Macadam specialist company. We only use the best products on all jobs and our staff are trained to the highest standards. We allow rainwater to soak into the ground at source, where it replenishes the water table, this ensures an ideal sustainable drainage (SuDS) solution. This improves water quality, helps to mitigate the risk of any potential flooding and creates a healthier natural environment. Abbey Driveways specialise in laying all types of clay paving. Our expertise in laying concrete paving allows us to give you our personal guarantee of quality. We can offer all types of slabbing and tarmac laying services. Please contact us to arrange a no obligation quotation and free design service. We can offer all types of slabbing and tarmac laying services. We hope to have given you some inspiration as to the different types of paving we can lay to enhance your driveway or garden. Please contact us to arrange a no obligation quotation & free design service. 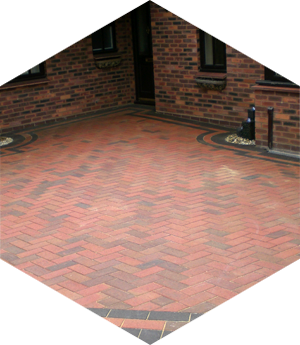 Abbey Driveways (Bournville) Ltd specialise in laying all types of clay paving. We offer a free design service and free quotation to clients throughout Birmingham. Our vast experience in paving allow us to give you our personal guarantee of satisfaction. Our expertise in laying concrete paving allows us to give you our personal guarantee of quality. We use no sub-contractors to ensure you of quality workmanship and reliability. Tegula concrete as shown opposite can create the perfect cobbled look to enhance your driveway. Abbey Driveways (Bournville) Ltd specialise in laying all types of antique paving. We offer a free design service & free quotation to clients throughout Birmingham. 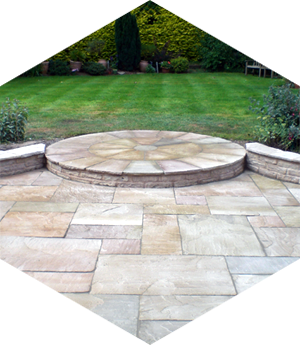 Our vast experience in paving allow us to give you our personal guarantee of satisfaction. We booked Abbey Driveways Ltd to do our driveway, and we are so delighted that we did. We have been really impressed by Kevin and the team by how professional they were, how prompt, how clean and how quick they are able to work. The materials they use are of such high quality and we could not recommend highly enough! It is crucial that the installation of any hard-standing area has a good sub-base. As such, we use Ministry Of Transport Type 1 Road Stone for this purpose.